New York City Can Be Cold-Blooded! In the parks and on the beaches in New York City, we can see birds and furry critters and lots of flowers and trees. 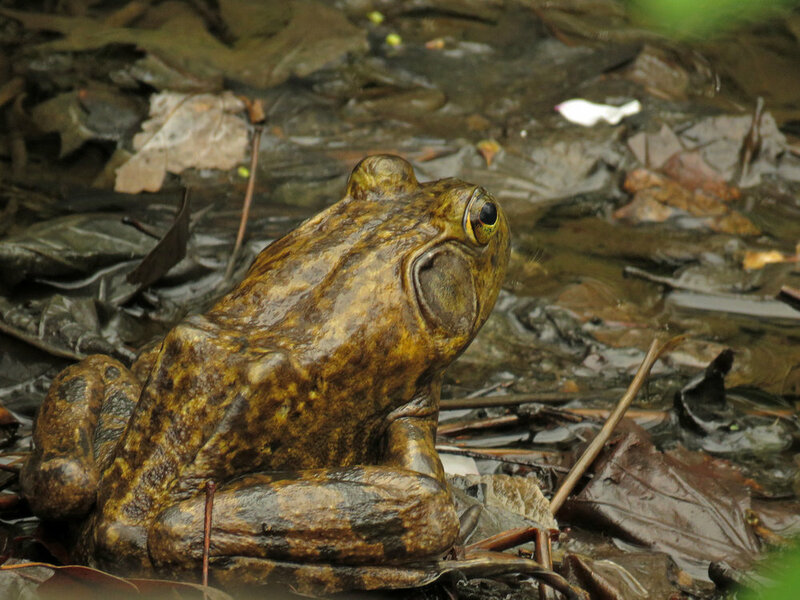 And we can also see the more cold-blooded critters — fish, frogs, turtles, and snakes. I have seen snakes on the East Pond side of Jamaica Bay Wildlife Refuge, but wasn’t able to take a photo until April 6, 2019. This critter was seen on the boards leading to the Big John Pond blind. 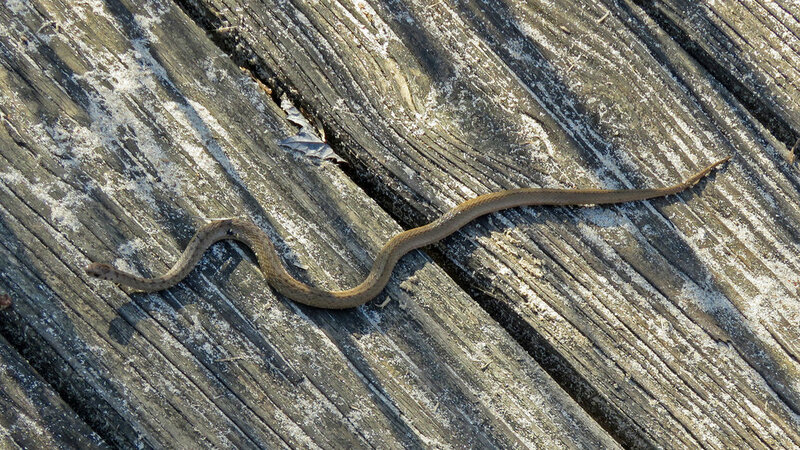 A snake went before us at Big John Pond, Jamaica Bay Wildlife Refuge, April 6, 2019. Hey, You, Get Off of My Back! is a very fun video shot on Sept. 24, 2016. It's also very short. It features four red-eared sliders trying to share a little log.